Twice during past week, I’ve read Hanukkah described as an important Jewish holiday. WRONG! As far as Jewish holidays go, Chanukah is among the least important, unlike the “big ones” like Rosh Hashana, Yom Kippur, Passover, Sukkot, or Shavuot on Chanukah you can work, drive, etc. The most common view of the holiday generally includes the miracle of the one day of oil lasting for eight days, the Maccabees defeat of the superior forces of King Antiochus, the re-dedication of the Temple in Jerusalem, etc. 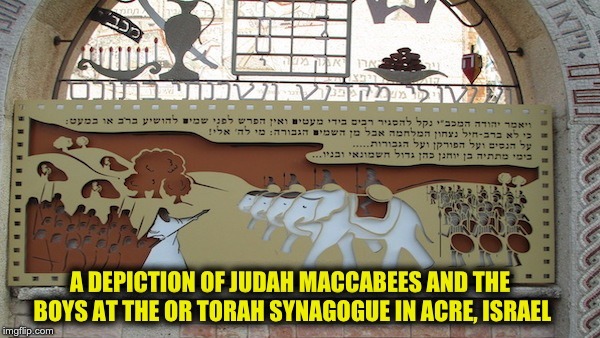 If you want to know the truth, the oil thing never happened and the battle Judah Maccabee and his boys won was really a civil war against the Jews who turned away from their faith. Antiochus and his army was there to intervene in the civil war— they just picked the wrong side to support. Antiochus invaded Judea at the request of the assimilated Hellenized Jews who were expelled to Syria around 170 BCE when the high priest Onias (a buddy of Cleopatra’s husband Ptolemy) wrested control of the Holy Temple from them. Those exiled assimilated Jews lobbied the King Antiochus to recapture Jerusalem. The fight started when in the town of Modin a government representative of emperor Antiochus IV Epiphanes demanded that the local Jewish priest Mattathias ben Johanan to offer sacrifice to the Greek gods, he not only refused to do so but killed the Jew who had stepped forward to offer the sacrifice. Mattathias then killed the government official who made the demand. When the order to arrest him was made Mattathias went into the wilderness to hide where he was joined by his sons and others who heeded his call, “Let everyone who has zeal for the Law and who stands by the covenant follow me! There they began the civil war and picked up the nickname Maccabee. Now as far as the holiday goes, Hanukkah is not an important Jewish holiday because like Purim, it was created by rabbis. The command to observe the big holidays such as Passover, Sukkot, or Shavuot is in the Torah which was given to us by God. Since God outranks the rabbis, his holidays are much more important. The Books of the Maccabees weren’t even included in the Jewish canon and it was all because of politics (sort of). And the books can’t be added back because no Hebrew version of the full text has ever been found (for all of you pickers out there, here is an opportunity). The Maccabees’ big political mistake was after the Temple was rededicated they kept the role of Temple priests but added the role of Kings. From the time of Moses and Aaron, the offices of head of state and high priest were separate. Once the Kingship was established with Saul the separation became permanent. The priestly family was from the tribe of Levi (where Aaron the first priest came from) Even today the descendants of Aaron (called Kohans) are recognized as the Jewish priests. The first king of Israel Saul was from the tribe of Benjamin. He was succeeded by David who was from the tribe of Judah ruled the kingdom of Israel. Even after the kingdom divided into the Kingdoms of Judah and Israel house of David sat on the royal throne. 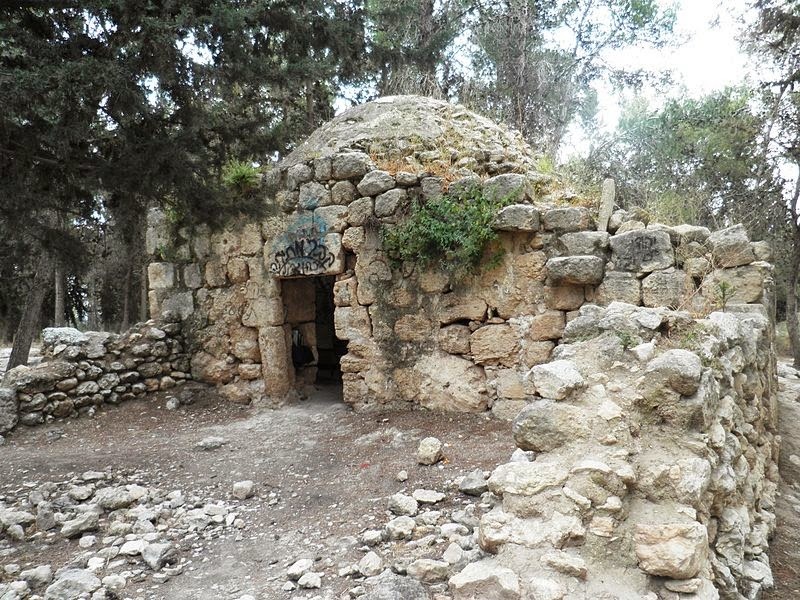 Once the Jews regained Jerusalem and the Temple, Mattathias’ priestly family (the Hasmoneans) took over the kingship, a biblical no-no which some people say eventually lead to the destruction of the second Temple. Before you, liberals start claiming biblical proof of separation of church and state the reason for the biblical separation wasn’t a fear of religious influence on govt., but the possibility of a corrupt government’s influence on religion. The Kings were expected to use the scriptures as a guide for ruling. God knew that governments could become corrupt and the plan was for an incorruptible Priesthood keeping the politicians in line. Chanukah started out as a celebration of Sukkot. When the Maccabees finally retook the Temple in the month of Kislev, they decided to celebrate Sukkot three months late. They had skipped celebrating Sukkot. So the Maccabees rededicated the Temple and immediately set out to celebrate for eight days. Also the story the oil, eight days etc–it was a nice fairy tale—it never happened and was never recorded in the books of the Maccabees. The initial celebrations of the re-dedication of the Temple now called Hannukah were called the festival of lights. There is no record of Judah ordering Chinese takeout, making potato latkes or going to Dunkin Donuts for jelly-filled donuts, they didn’t become Jewish practice until much later. I believe it is called the festival of lights because Jews believe that God’s teachings bring his light into the world. The Chanukah festival was not only a re-dedication of the Temple but a re-dedication of the Jews to the Torah and the light of God. Neither Josephus nor the Book of Maccabees discusses any oil that lasts eight days (or takeout). Sorry if I destroyed any of your childhood myths by telling the truth about the candles, but (to me) the miracle of Hanukkah was the victory of the Jews against superior forces and faith is all about believing that God is always involved even when you don’t see him. God repeated the miracle of Hannukkah with Purim, with Israel in 1948, the Six-Day-War and in even more recent times, and the miracle year of New York Sports 1968-69 (the Mets, the Jets, and the hobbled Willis Reed Knicks). The oil lighting story and candle tradition is very nice, and it teaches all about the Jews role of helping the light of God spread throughout the world. It also helped to establish the tradition of eating greasy donuts and potato latkes on Chanukkah, Hannukkah, Hanukkah or however, you wish to spell the holiday. The Rabbis tell us that we are not to use the Chanukah candles for reading or seeing, as we would with a regular candle or a light bulb, or even a Shabbos candle. The Chanukkiyah (it’s not a menorah!). 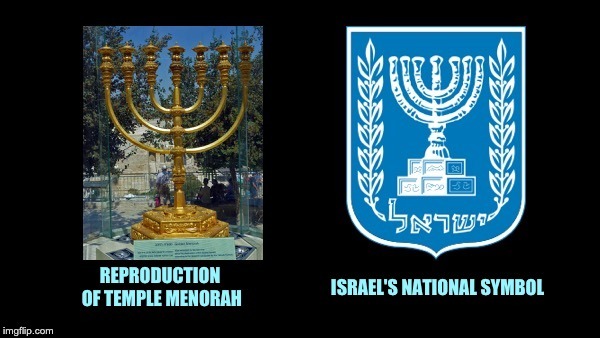 Menorahs were in the Temple in Jerusalem and when fully lit had seven instead of nine candles). The Chanukkiyah is supposed to be placed near a window so the light of God and his many miracles will shine outward into the world. There is an interesting story in the Talmud about lighting the candles. The students of two great rabbis Hillel and Shammai had a fierce argument about how the candles should be lit. The Shammai camp said you light nine candles (the helper candle and one for each of the eight nights) the first night and take away one each succeeding night. The house of Hillel said you light two the first night (the helper candle plus one) and add one each succeeding night. While both camps were brilliant and wise, the Hillel camp won (as they usually did) because it is important to increase one’s holiness every day, and by adding a candle is increasing holiness. Even though Chanukah is a minor holiday it is one of my favorites, not because of the eight days of gifts (that is an American custom based on trying to one-up Christmas) and not because of the greasy clogged artery-inducing food. Chanukah is a holiday about Jews fighting against assimilation a lesson which needs to be reinforced over and over here in the galut (diaspora). The holiday and candles are also a reminder that in Judaism, the light of God begins in the home lit by the observance of a single family unit, and just like the Chanukiah (Menorah) that light is supposed to radiate from the home to the community and eventually throughout the world. Oseh Shalom bimromav, hu ya’aseh shalom aleinu ve’al kol yisrael, ve’imru amen.